The Zebra VC80x is a vehicle-mounted computer for demanding tasks in all kinds of warehouse environments. It comes with multiple mounting options and can be used indoors or outdoors, wherever it is needed. This mobile computer can conveniently be operated with on hand and is extremely sturdy. 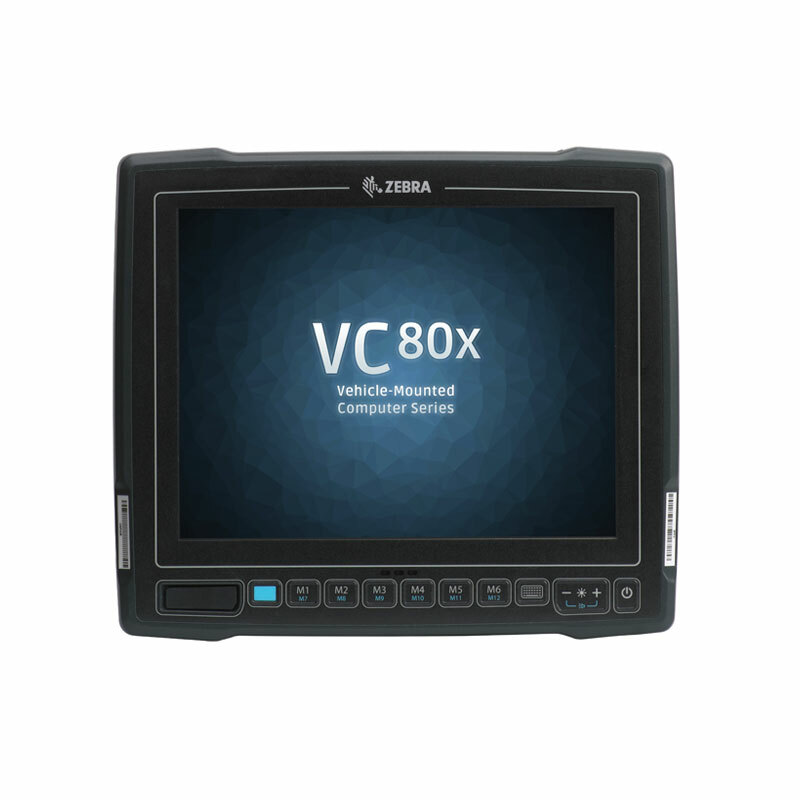 The Zebra VC80x is a mobile computer made for mounting in vehicles in rough warehouse surroundings and industries like transport & logistics, manufacturing and distribution. Picking and packing, shipping and replenishment are only a few areas of possible applications. This vehicle computer is equipped with Android 8.0 and a powerful Qualcomm processor and is therefore a clever and future-proof investment. With Zebra’s LifeGuard, 10 years of security updates are guaranteed. 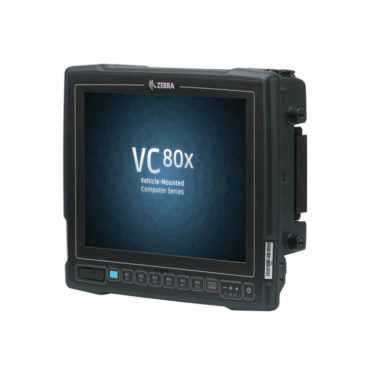 The VC80x comes with a 10.4-inch resistive touchscreen which can be operated with fingers or with a stylus pen. The operating temperatures range from -30 °C to +50 °C and there is also a freezer version available with an integrated heater. Choose either 400 Nits brightness for indoors or 1000 Nits for outdoor applications. External keyboard options like QWERTY and AZERTY are available and the terminal is equipped with six direct and six second level programmable keys. Multiple mounting options are possible. Further several interface options are provided, like two RS-232 serial ports, USB ports and optional Ethernet. 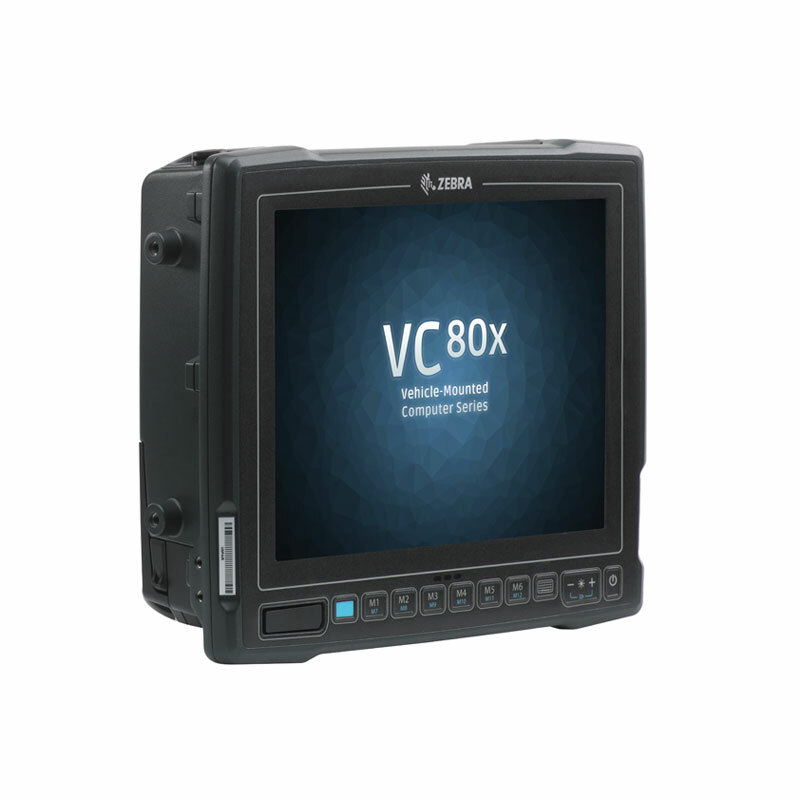 The VC80x is equipped with WLAN 802.11 a/b/g/n/ac/k/r and Bluetooth 4.0. It is tested and complies with MIL-810-G standards and is rated protection class IP66, which proves its dust and water resistance. The resistance against shock and vibration is useful for tough environments. For even more applications, this terminal is easy upgradable with a push-to-talk option or an external barcode scanner.